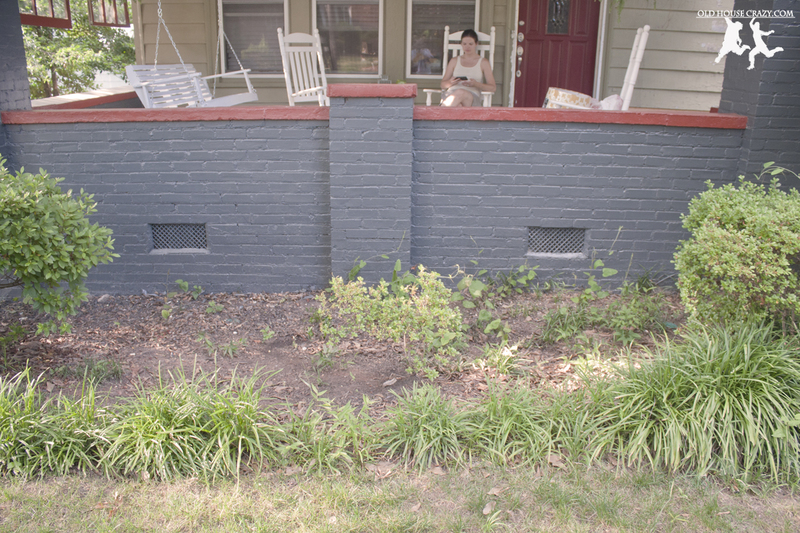 Our front flower bed has been pretty neglected over the last three years. I’m pretty sure it was also neglected long before we bought the place. The few little things we’ve done include moving five azaleas from this bed and planting them in a line next to the driveway and extending the lariope all the way around the bed. 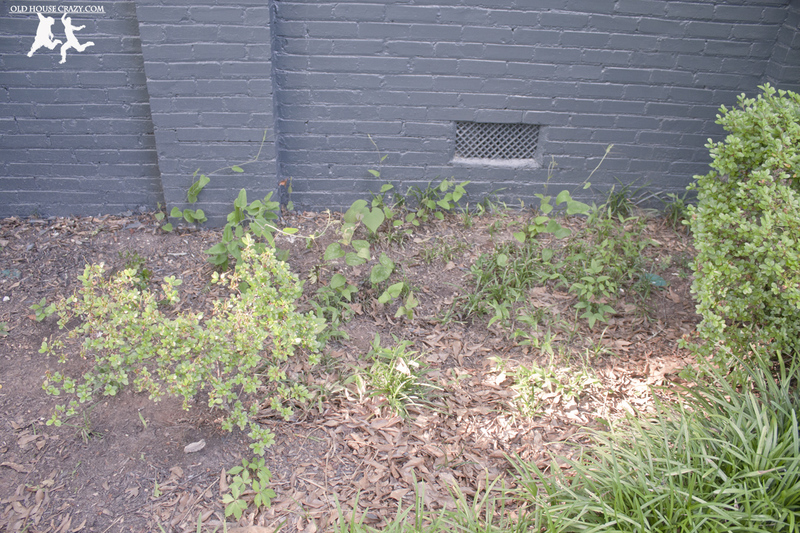 Other than that, you can see that the bed was pretty overrun with weeds, most of which just keep coming back, no matter how many times I poison them or cut them back. 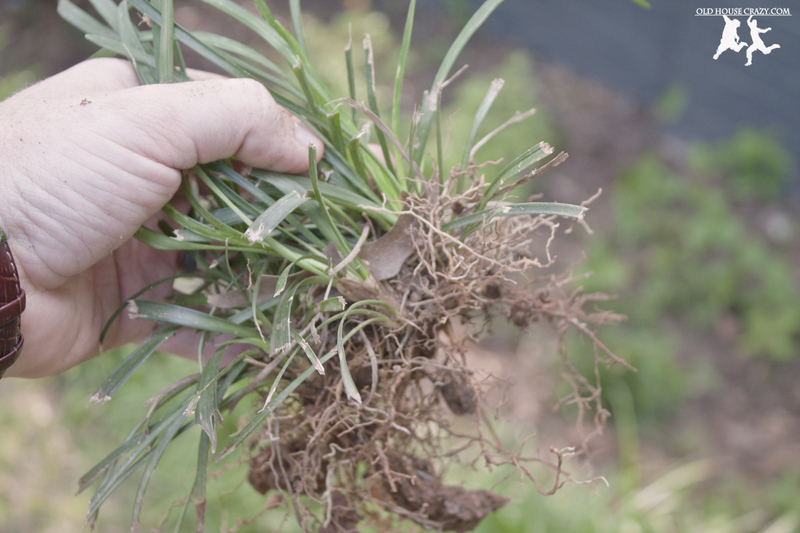 Weedy vines just keep growing, no matter how many times you cut them back. 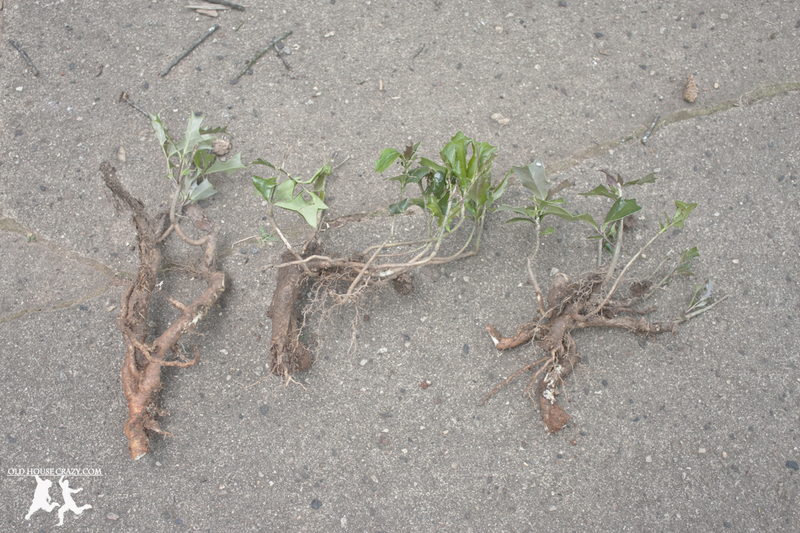 You can see through this series of photos that these weeds have got pretty substantial root structures. 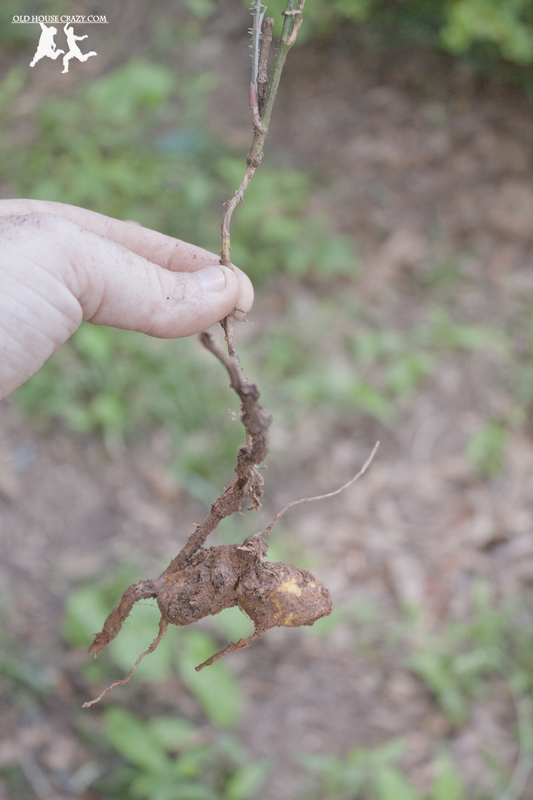 Many of the weeds, especially the vines, have little bulbs attached to the roots underground. These are specialized structures that the plant uses to store energy, just in case it needs to start over. Each time you cut one of these down, it uses stored energy to regrow. Just as soon as it has green leaves, it begins storing energy again. This is exactly the same as a potato, but on a different plant. 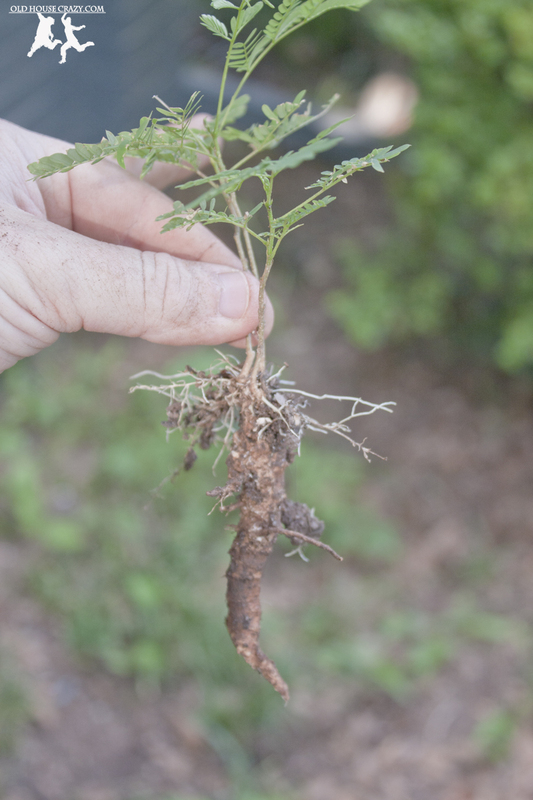 The weedy vine above and the mimosa plant below are impossible to get rid of unless you dig up their roots. Above you can see a few Holly plants that look tiny from above ground. If you cut them, they’ll just keep coming back because of their huge roots. 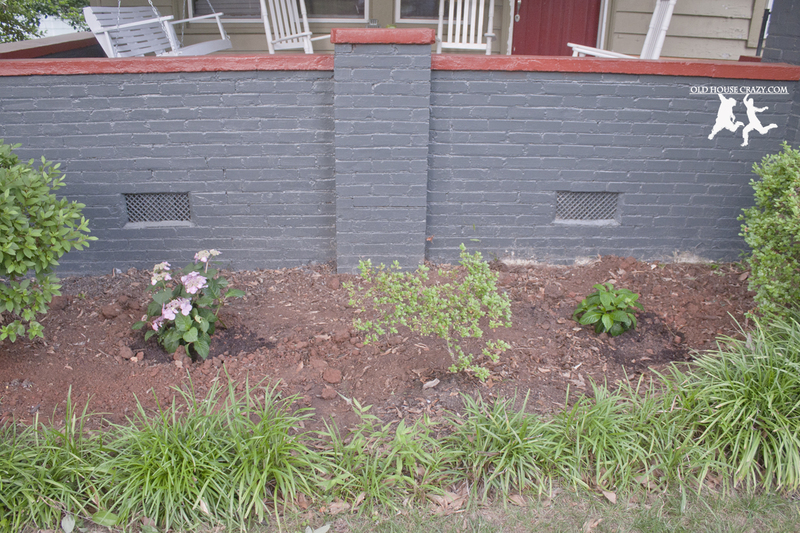 After I’d cleared the beds, I dugs two holes for nice little hydrangea plants that we picked up at the hardware store. I mixed a shovel or two of good worm castings from our worm bin into each hole and plopped in the hydrangeas. Sorry I don’t have more photos of the planting process. It began to rain as I was doing this so I hurried through the planting. This entry was posted in DIY, Garden, Landscaping and tagged DIY, Flowers, garden, Gardening, landscaping, weeds. Bookmark the permalink. 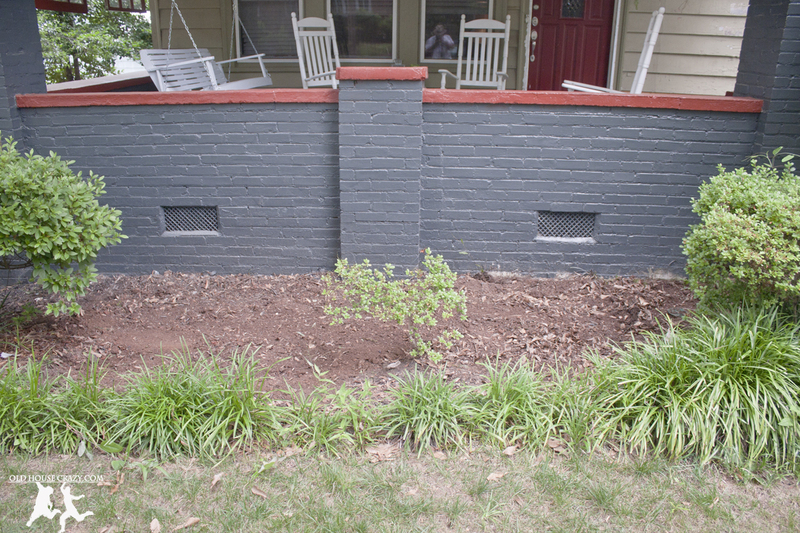 I want to plant six hydrangas under a section of my crepe myrtles. Maybe this fall or next spring that will happen. Those will look really nice there. What kind are you going to plant? I had no idea there were so many types of hydrangeas.